Bravo is an American pay television network, launched on December 1, 1980. It is owned by NBCUniversal, a subsidiary of Comcast. The channel originally focused on programming related to fine arts and film; it currently broadcasts several reality television series targeted at 25-54-year-old women as well as the gay community, along with acquired and original dramas, and mainstream theatrically released feature films. As of January 2016, approximately 89,824,000 American households (77.169 percent of households with TV) receive Bravo. Bravo originally launched as a commercial-free premium channel on December 1, 1980. It was originally co-owned by Cablevision's Rainbow Media division and Warner-Amex Satellite Entertainment; the channel claimed to be "the first television service dedicated to film and the performing arts". The channel originally broadcast its programming two days a week and—like Bravo's former sister network Nickelodeon, which shared its channel space with Alpha Repertory Television Service—shared its channel space with the adult-oriented pay channel Escapade, which featured softcore pornographic films. In 1981, Bravo was available to 48,000 subscribers throughout the United States; this total increased four years later to around 350,000 subscribers. A 1985 profile of Bravo in The New York Times observed that most of its programming consisted of international, classic, and independent film. Celebrities such as E. G. Marshall and Roberta Peters provided opening and closing commentary to the films broadcast on the channel. Performing arts programs seen on Bravo included the show Jazz Counterpoint. During the mid-1980s, Bravo converted from a premium service into a basic cable channel, although it remained a commercial-free service. Bravo signed an underwriting deal with Texaco in 1992 and within a month broadcast the first Texaco Showcase production, a stage adaptation of Romeo and Juliet. By the mid-1990s, Bravo began to incorporate more PBS-style underwriting sponsorships, and then began accepting traditional commercial advertising by 1998. In the Encyclopedia of Television, Megan Mullen perceived certain Bravo programs as "considered too risky or eclectic for mainstream channels". Those programs were Karaoke and Cold Lazarus, the final serials by British playwright Dennis Potter shown by Bravo in June 1997, and Michael Moore's documentary series The Awful Truth from 1999. In 1999, Metro-Goldwyn-Mayer acquired a 20% stake in the channel, which it subsequently sold back to Rainbow Media in 2001. NBC bought the network in 2002 for $1.25 billion; it had owned a stake in the channel and its sister networks for several years up to that point. NBC's then-parent company, General Electric, merged the network and its other broadcast and cable properties with Vivendi Universal Entertainment in May 2004 to form NBC Universal. In the early 2000s, Bravo switched its format from focusing on performing arts, drama, and independent film to being focused on pop culture such as reality shows, fashion and makeover shows, and celebrities. Bravo's "makeover" occurred in 2003 with the reality series Queer Eye for the Straight Guy, which garnered 3.5 million viewers. Entertainment Weekly put "Bravo reality shows" on its end-of-the-decade, "best-of" list, saying, "From Queer Eye for the Straight Guy's Fab Five to Project Runway's fierce fashionistas to the kvetching, perma-tanned Real Housewives franchise, Bravo's quirky reality programming mixes high culture and low scruples to create deliciously addictive television." In more recent years, Bravo has put the spotlight on cultural, regional and relationship diversities with a few of its reality series, such as: Million Dollar Listing, Shahs of Sunset, Married to Medicine, Newlyweds the First Year, Southern Charm and "Real Housewives". Bravo Media released its first ever scripted series, Girlfriends' Guide to Divorce, in the later half of 2014, which earned impressive ratings, causing the green light for a second season. A study released in May 2008 ranked Bravo as the most recognizable brand among gay consumers. Bravo's age demographic is people 18-54, according to the Cable Television Advertising Bureau's cable television profiles. On February 7, 2017, coinciding with the premiere of new original series Imposters, Bravo updated its imaging with a refresh to its speech bubble-inspired logo, with the letters now all rendered in lowercase (replacing the wordmark text based on the logos used by the channel between 1994 and 2005), and a neutralized imaging to attract more male viewers. The "...by Bravo" marketing tag will also be phased out from general use. Bravo's programming schedule primarily includes originally produced programming, particularly reality content, most popularly The Real Housewives and Inside the Actors Studio, as well as the Top Chef, Flipping Out, and Married to Medicine franchises. The channel also airs reruns of series from parent network NBC and occasionally other NBCUniversal-owned networks, off-network series, including those from NBCUniversal Television Distribution, and feature films, primarily from the Universal Pictures catalog. Bravo utilizes block programming for both new shows and existing ones such as its "Fashion By Bravo" block. Following its acquisition by NBC, Bravo began to supplement NBC Sports coverage of the Olympic Games, airing live events during the overnight and morning hours during the 2004 Summer Olympics; this coverage continued with the 2006 Winter Olympics. The channel carried no coverage during the 2008 games, as NBCUniversal had acquired Oxygen, allowing Bravo to continue to carry its regular programming schedule during NBC coverage of the Games. In 2012, the network served as the near-exclusive home for the Games's tennis tournament at Wimbledon, with up to 56 hours of coverage except for the men's and women's singles finals, which aired on NBC. During the 2016 Rio Olympics, Bravo served as the exclusive home of the entire tennis tournament. Bravo began broadcasting in the 1080i high definition format in 2007, and is available on all major cable and satellite providers. Before Bravo broadcast in HD, the current Olympic Channel launched as Bravo HD+ in 2003. It had a completely different schedule than the main Bravo schedule, acting as a "demo channel" with only programs made in the HD format. It transitioned to a more general format as Universal HD in 2004 after the NBC/Universal merger. An Australian channel called Arena rebranded its on-air presentation in 2008 to align with Bravo as a result of an agreement with Bravo Media. Arena uses the now-former Bravo slogan "Watch What Happens" and has access to Bravo-produced programming. A Canadian version of Bravo was launched in 1995 by CHUM Limited. The channel originally aired much of the same genres of programming aired by its American counterpart, though it has diverged to carry more dramatic programming rather than the American network's reality focus due to its compliance with its original remit from the Canadian Radio-television and Telecommunications Commission (CRTC) which requires the channel to still air programming related to arts. After current owners Bell Media relaunched the channel in 2012, complete with the adoption of a new logo, there is now essentially no connection between the two channels other than a shared name. The channel still carries the few arts-related series aired by the American Bravo (such as Inside the Actors Studio and Work of Art). Most of the American Bravo's reality programs have been picked up by competing specialty channels, such as Corus Entertainment's Slice and HGTV Canada. In the United Kingdom, a television channel called Bravo launched in 1985 independently of the U.S. service. The British channel, owned by BSkyB, shut down on January 1, 2011, focused on men's programming. MediaWorks New Zealand announced that it would close the youth-oriented free to air channel Four in July 2016 and replace it with Bravo as part of a deal with NBC Universal. A Brazilian version of Bravo was launched in 1996 by a partnership between TVA - then Grupo Abril's television arm -, TV Cultura and the original American network. The channel produced original programming like the Brazilian version of Inside Actor's Studio called Studio Brasil. 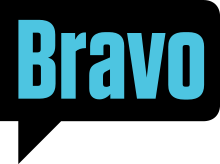 In August 1999, Bravo was rebranded as Film&Arts after Bravo Networks took the fully control of channel's administration. In 2000, Bravo Networks sold Film&Arts to Chellomedia's Pramer. AMC Networks acquired Chellomedia in 2014 putting Film&Arts in AMC International Networks' portfolio. As 2016 the channel was no longer available in Brazil after being dropped out by several cable and satellite providers. ^ "Cable Network Coverage Area Household Universe Estimates: January 2016". Broadcasting & Cable. ^ a b TimeWarner Media Sales: Bravo - CableMediaSales.com Archived May 2, 2008, at the Wayback Machine Retrieved September 1, 2008. ^ a b "A Tale of Two Networks." Entertainment Weekly #1001, July 11, 2008, pg. 42. ^ "About Bravo". Bravo (U.S. TV channel). Archived from the original on January 4, 2010. Retrieved July 14, 2010. ^ a b Becker, Anne (October 1, 2006). "Tracking Bravo's Rise". Broadcasting & Cable. Retrieved July 14, 2010. ^ a b c Schneider, Steve (December 15, 1985). "Cable TV Notes; Bravo Thrives on Culture". The New York Times. Retrieved July 14, 2010. ^ "Cable Networks". Museum of Broadcast Communications. Retrieved July 14, 2010. ^ a b Mullen, Megan (2004) . "Bravo (U.S. cable network)". In Newcomb, Horace (ed.). Encyclopedia of Television. 1 (2nd ed.). Chicago, Illinois, United States: Fitzroy Dearborn Publishers. pp. 308–310. ISBN 1-57958-411-X. ^ Romano, Allison. "NBC Puts Its Stamp on Bravo." Broadcasting and Cable. February 17, 2003. ^ Geier, Thom; et al. "The 100 Greatest Movies, TV Shows, Albums, Books, Characters, Scenes, Episodes, Songs, Dresses, Music Videos, And Trends That Entertained Us Over The Past 10 Years". Entertainment Weekly (1079/1080): 74–84. ^ "Bravo tops survey of gay-friendly companies." Reuters' May 13, 2008. ^ Wagmeister, Elizabeth (6 February 2017). "Bravo Unveils New On-Air Look, Logo in Brand Refresh (EXCLUSIVE)". ^ Ritchie, Kevin (January 11, 2012). "Bravo names Bianchi VP, program planning and acquisitions". Brunico Communications. Retrieved June 22, 2013. ^ "NBC Lays Out Olympic Schedule". Broadcasting Cable. Retrieved May 20, 2012. ^ "Australia's Foxtel has license to deal". The Hollywood Reporter. Retrieved 2017-08-11. ^ "A New Arena". Archived from the original on 2008-06-25. ^ "Mediaworks dumps FOUR for new reality channel Bravo". Stuff. Retrieved 21 February 2019. ^ "Folha de S.Paulo - TVA estréia canal especializado em artes - 1/6/1996". www1.folha.uol.com.br. Retrieved 21 February 2019. ^ "TV-Pesquisa: Mudanças No Canal Bravo Brasil". Meio & Mensagem. PUC-Rio. July 19, 1999. Retrieved February 22, 2019. USA Network is an American pay television channel that is owned by NBCUniversal, a subsidiary of Comcast. It was originally launched in 1977 as Madison Square Garden Sports Network, one of the first national sports cable television channels, before being relaunched as USA Network in 1980. Once a minor player in basic-tier pay television, USA has steadily gained popularity due to its original programming; it is one of 4 major subscription-television networks that also broadcasts syndicated reruns of current and former "network television" series and theatrically-released feature films, as well as limited sports programming and WWE. In the United States, for most of the history of broadcasting, there were only three or four major commercial national terrestrial networks. From 1946 to 1956, these were ABC, CBS, NBC and DuMont. From 1956 to 1986, the "Big Three" national commercial networks were ABC, CBS, and NBC. From 1954 to 1970, National Educational Television was the national clearinghouse for public TV programming; the Public Broadcasting Service (PBS) succeeded it in 1970. NBCUniversal Media, LLC is an American worldwide mass media conglomerate owned by Comcast and headquartered at Rockefeller Plaza's Comcast Building in Midtown Manhattan, New York City. It is one of two successor companies to MCA Inc., the other being Vivendi through its subsidiary Universal Music Group. Slice is a Canadian English language Category A specialty channel owned by Corus Entertainment. Olympic Channel is an American pay television sports channel owned by the NBC Olympics division of NBC Sports and the United States Olympic Committee. It is dedicated to Olympic sports, and is a franchise of the International Olympic Committee's (IOC) Olympic Channel operation. It is exclusively broadcast in 1080i high definition; providers who intend to provide a standard definition simulcast of the network must downscale the HD feed at their headend level. Cloo was an American digital cable television channel with programming originally dedicated to the crime and mystery genres, though it often fell out of this format in its later years with a more generic selection of series and films, and was used as an example of channel drift and superfluous channel bundling, presenting series easily found through other venues. The network was owned and operated by NBCUniversal. Qubo is an American free-to-air children's entertainment programming service. Qubo consists of a 24-hour television network, alternately known as Qubo Channel, a video on demand service, and the branding of a weekly programming block on Ion Television under the name "Qubo Kids Corner". Universal TV is a British and Irish pay television channel owned by the Universal Networks International division of NBCUniversal. It is devoted primarily to imported drama series, primarily from the United States. Bonnie Hammer is an American businesswoman and network executive. As Chairman of NBCUniversal Cable, Hammer oversees the leading cable brands USA, The Sci-Fi Channel, E!, Bravo, Oxygen, Esquire Network, Sprout, TV One, Chiller, Cloo, and Universal HD, as well as production entities Universal Cable Productions and Wilshire Studios. Chiller was an American cable and satellite television channel that was owned by NBCUniversal Cable Entertainment Group subsidiary of NBCUniversal, all owned by Comcast. The channel specialized in horror, thriller and suspense programming, mainly films. Universal Sports was an American sports-oriented digital cable and satellite television network. It was owned as a joint venture between InterMedia Partners and NBCUniversal. Film1 Sundance was a Dutch premium television channel. It was the Dutch version of the American cable television network SundanceTV devoted to airing independent feature films, world cinema, documentaries, short films, television series, and original programs, such as news about the latest developments from each year's Sundance Film Festival. Universal Kids is an American pay television channel owned by the NBCUniversal Cable Entertainment Group, a division of NBCUniversal, all owned by Comcast. The channel was launched on September 26, 2005.